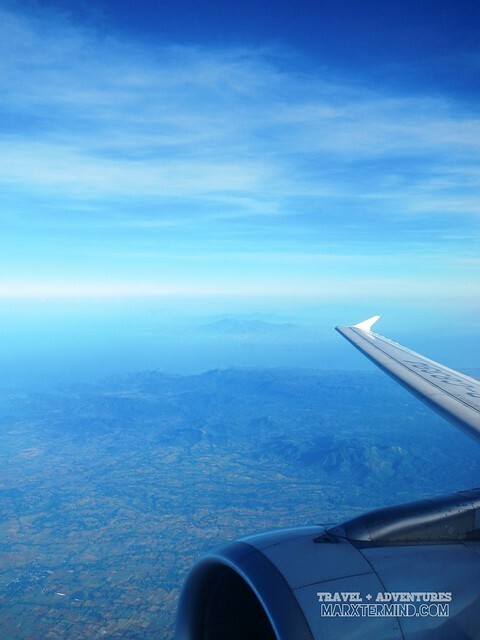 Booking a flight in advance has it pros and cons. But positively one of its pros is it’s cheaper and more affordable. A testament to that is when me and Paula, booked a plane ticket to Puerto Princesa City almost a year ago. Paying for around PHP 1,000 round trip ticket per person for peak dates, it’s already a steal. We really saved up a lot from the plane tickets I purchased. Since we purchased it almost a year ago, imagine how long we contained our excitement to finally get to our travel date. Our trip was initially planned to be a week long travel in Northern Palawan from Puerto Princesa to San Vicente to El Nido but because of some changes with my work I’ve decided to ditch it and just had the long weekend spend at El Nido. Good thing though, our airline cancelled our original schedule for quite number of times, we then had the option to re-book our flights free of charge – perfect! 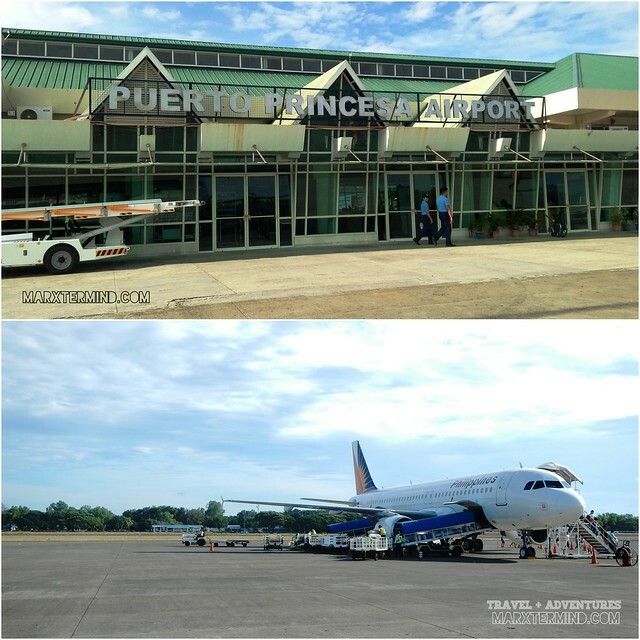 It’s Maundy Thursday, we took the earliest flight to Puerto Princesa via the new Philippine Airlines Express. I asked for a window seat as I know there’s a lot of views that I have to see as we fly on top of the mainland Palawan and it’s nearby islets. At 6:30 AM, we departed from the airport and off we flew to Puerto Princesa, the gateway to Palawan. 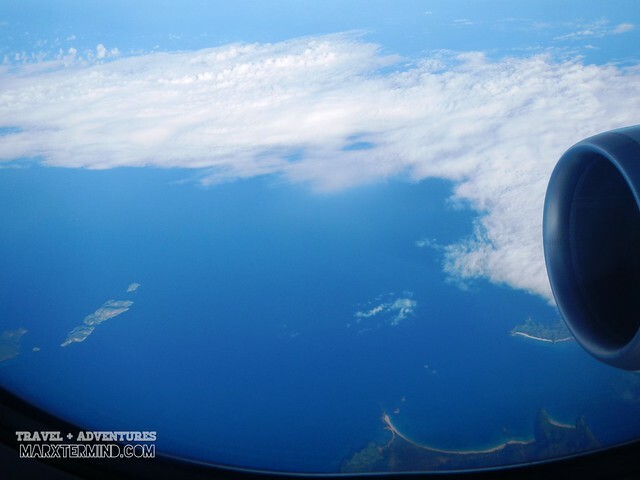 Aerial view like this just makes me more excited to travel by air. Finally, a glimpse of what we’ll be experiencing in El Nido. I saw some beaches and islands. 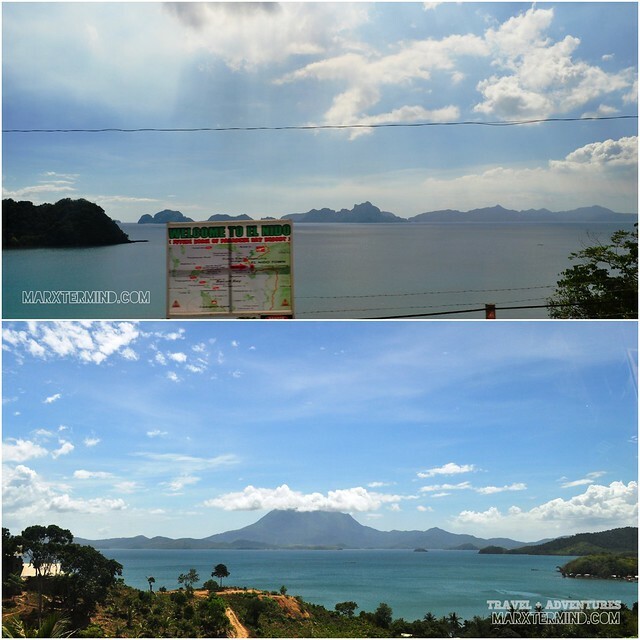 Oh, is that Nacpan – Calitang beach that I had captured? 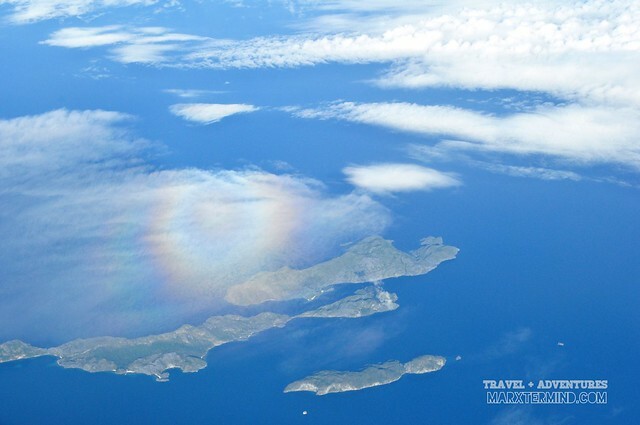 And here are some of the islands of Palawan. Seeing these aerial views made me and Paula to stay up for the entire flight. We initially planned to take some rest since we haven’t gotten enough sleep yet. But scenes like these shouldn’t be missed, right? 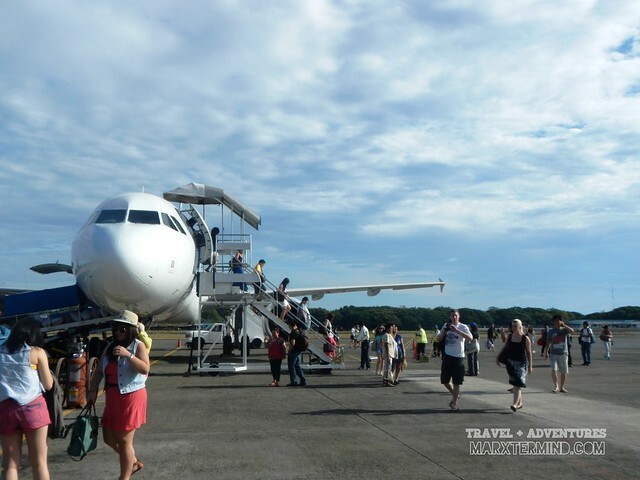 After almost an hour of travelling in the air, we finally reached the airport of Puerto Princesa. Hello, PPS! 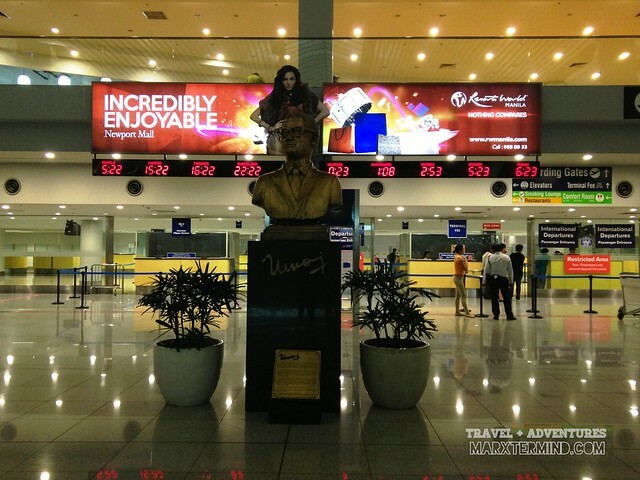 Upon disembarking from the plane; we hurriedly went to the terminal and waited for our check-in baggage. Then suddenly, I noticed something’s missing from my back pocket, crap it’s my wallet. I immediately approached the security personnel to tell him my case; I gave my boarding pass for him to check my belonging inside the aircraft. I was a bit worried; but still being positive that I’ll have my wallet back. After 5 minutes or so; the personnel went back with my wallet in full. Thank God or else… I don’t know. There are available tricycles outside the terminal that can take you to the city proper. The fare usually costs about PHP 50.00 per person but we opted to take one outside the airport; which is cheaper. I usually don’t mind touts, drivers or anyone that sells their services because sometimes their eagerness feels so irritating but one driver (let’s name him PPS Driver 1) was so keen that he actually followed as until we had nearly approached the road and told us that he’ll just charge us the minimum fare which is PHP 8.00 per person. With that, we agreed and took his tricycle as our ride to the city proper. We asked him to take us to the Capitol then to any food stall that has chao long; and so he did. 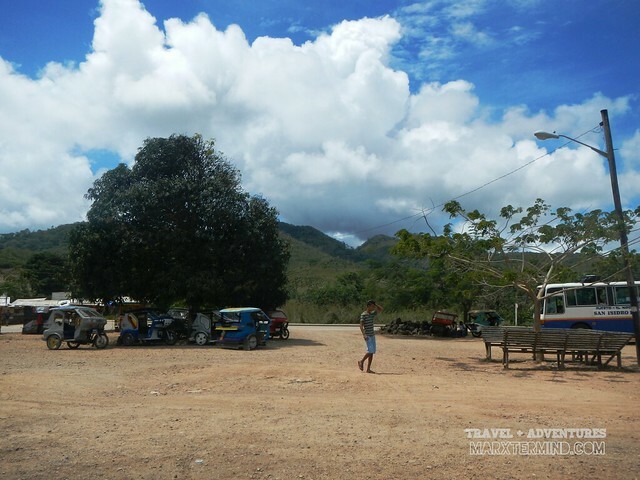 Along our way, he told us a brief background about the city and the people; then he made his segue way about his friend’s van service that goes to El Nido. We told him that we already have our reservation at Lexus but still insisted that his friend’s van service is cheaper than Lexus. I’m a person that doesn’t like sudden cancellation or not showing up when I already commit to someone’s service even though someone offered a cheaper one unless there’s still an ample time for me to cancel it and explain to the person I promised to. I don’t like the feeling of disappointments and rejection and so why should I do that to others, right? So when I commit I’ll make it. We still have an hour before our van departs to El Nido so we passed by a food stall (carinderia) first to eat the famous chao long. The driver (PPS Driver 1) again offered his service to take us to Sabang Terminal where the vans and buses go to El Nido and different places in the Northern part of Palawan. We told him to pick us up after 20 minutes. After awhile, someone from Lexus van called me on the phone asking our whereabouts. I told him we’re already on our way even though we’re still waiting for our food. When our food arrived, we ate it quickly as we can. When our tricycle arrived, I told our driver (PPS Driver 1) that we need to hurry because we’re already running late for our van. I asked him if how many minutes will it take us to get to the terminal and told us it’s 40 minutes; we might not make it to our van. And so he made his segue way again for his friend’s van services. I told him we’re going to pursue with our Lexus reservation. While on our way I noticed how the tricycle ran so slow. We’re on a hurry! He even stopped the tricycle by the gasoline station to fuel up. I couldn’t help but think that he was doing it intentionally so we wouldn’t make it to Sabang Terminal on time. Well in less than 30 minutes we reached the terminal. So what does this driver telling us again that it’ll take us 40 minutes to reach our destination? We can even made it in 15 minutes if he hurried up. He charged us PHP 100.00 getting to the terminal. We paid him more than the usual rate. I’ve read somewhere else that it only costs PHP 50.00 to get here. Well I don’t want to ruin my vacation because of this little distress. We boarded the van and off we traveled the road to El Nido. We paid PHP 500.00 per person for our fare to El Nido. 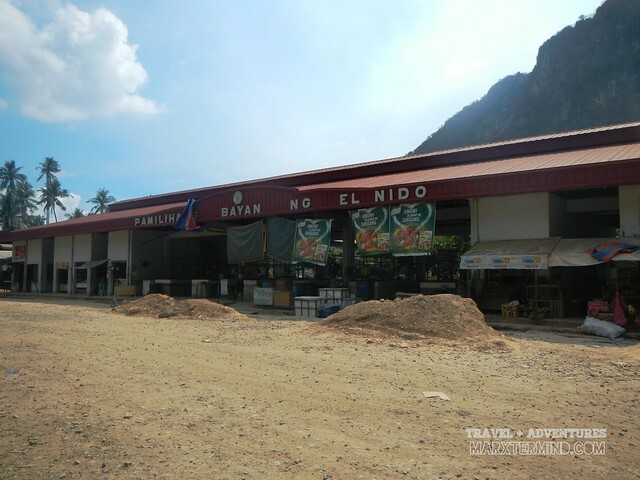 How to get to El Nido from Puerto Princesa? 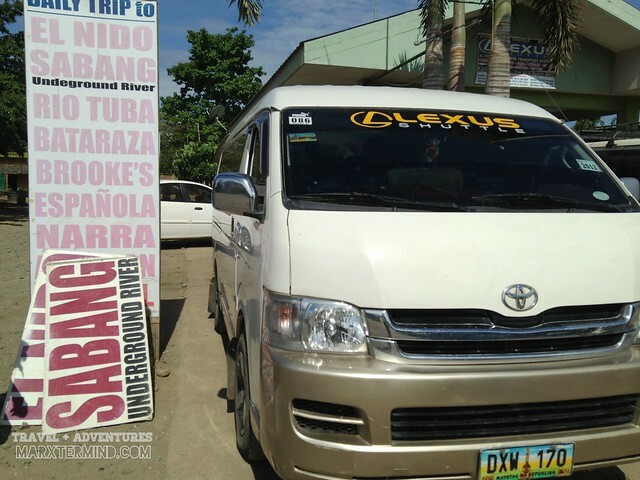 There are three options for you to reach El Nido from Puerto Princesa; by van, RoRo Bus or Eulen Joy Bus. It takes 5 to 6 hours to reach El Nido by van and RoRo bus while it takes 7 to 8 hours by Eulen Joy. Fares for each of these transports vary; one-way fare for vans usually costs PHP 500.00 for locals while PHP 600.00 to PHP 700.00 for foreigners, RoRo bus costs PHP 483.00 for air conditioned and PHP 367.00 for non-air conditioned one way, and Eulen Joy Bus costs PHP 350.00 for non-air conditioned one way. Schedule of these transport services varies so it’s better to contact them prior to your travel dates. Here are some of the contact numbers of the transport services I was able to reach as well as those as I was able to search online. Pilandok Transport (from Robinson’s Place) – (0917) 590-5043For schedules, it’s better to call their respective contact number/s as it may varies. It is still better to contact them as the schedule may vary. It’s a long and winding road to El Nido. There are two stops along the way; at Roxas and Tay-Tay. I planned to doze off but the zigzag road is so unbearable that it made me awake for the last four hours of our travel. You’ll know you are nearing El Nido when the road gets rough. More so, the appealing views on the right side of the road. 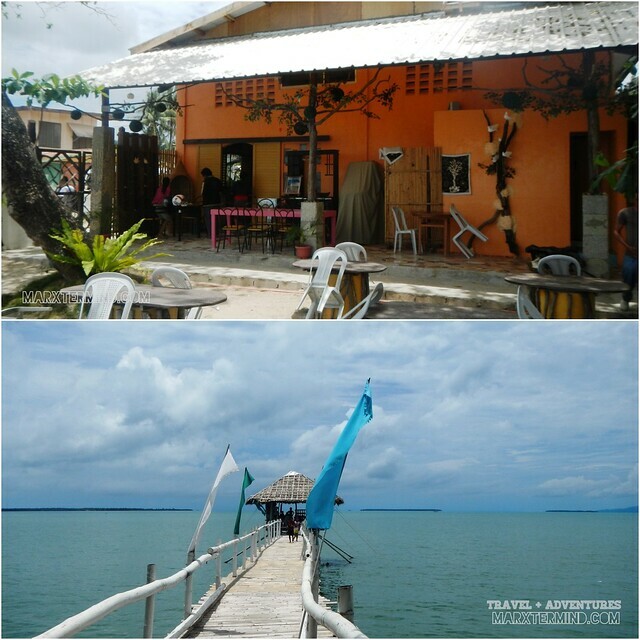 In less than two hours traveling the unpaved road, we had finally reached our destination. Eto na yun? Just kidding! But seriously, the cliff are very eminent on this town, which made us feel more excited to roam around. We hailed a tricycle and asked him to take us to Northern Hope Inn, where we will be staying for our entire trip here in El Nido. It was still only 3:30 PM, too early for the sunset so me and Paula decided to take a rest for awhile. After travelling 9 hours by air and by land, we deserved a quick rest before heading to another adventure. I'd like to ask regarding th bus terminal in el nido? We're planning to take the 10pm roro sched since we dont have enough time, is it safe to stay in el nido terminal from 4am til sunrise? Tnx. 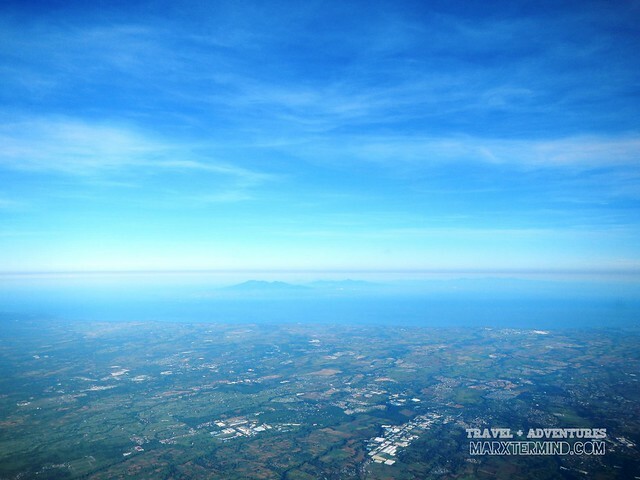 Wow,ang ganda naman jan….Last time na nagbakasyon ako from work abroad,i planned to go in Palawan,lungkot lang kasi mahal ang pamasahe.We just went to Tagaytay. nice marx, at dahil hindi ka ngsama..susuluhin ko yan next time..
😀 Weeee! hehehehe, I can't forget your face when you 'almost' stole you wohllet! Alam mo ba kung ano tumakbo sa utak ko? Kung paano ko hahatiin ang baon ko for the two of us. Good thing we found it! :-P, pacopy ng van details ha! some pros and cons.. Ive experience some too..
Medyo kinabahan ako nung nalaman ko and buti na lang sa window seat ako andun ung wallet ko sa gilid. And nalaman ko agad bago pa sumakay ung mga passengers going to Manila. this is so informative. ill get back to this post if we'll have palawan this year. crossing fingers for that.